I’m hoping to make it a bit longer AND use all yarn (even for the “chain”) so I don’t have to buy anything 😛 thanks for the tutorial and inspiration! I will let you know how it turns out. I will let you know how it turns out. To make a necklace with strands of graduating lengths, make each strand 1"-2" longer than the previous one. Bigger or smaller hooks will change the size of your chain stitches. 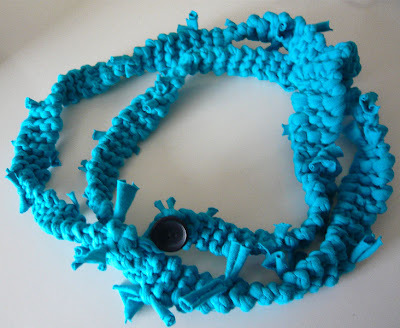 If you are having trouble threading beads onto your ribbon yarn, thread them onto crochet thread in a coordinating color.